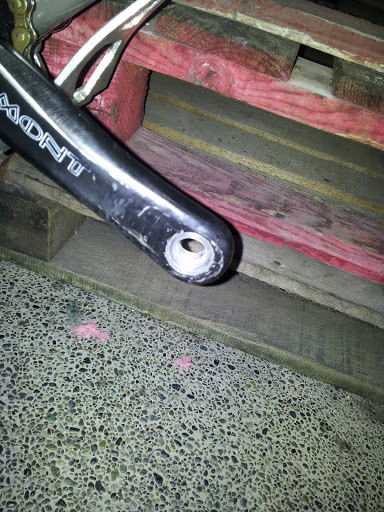 BikeTrials and a Fistful of Blisters: Crappy Crank from Monty! Last week while relearning the pedal up on the wooden pallets, I saw that the right pedal on my Monty Kamel 219 was a bit wobbly. Immediately, I proceed to tighten the pedal. 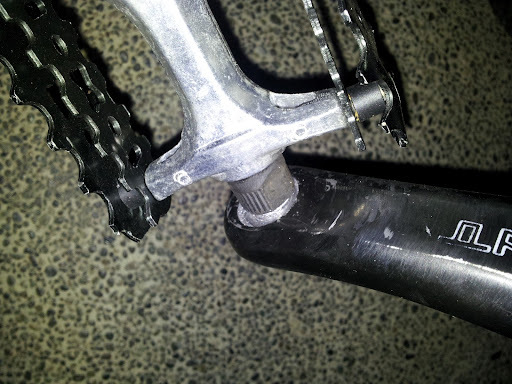 To my dismay, I could not tighten the pedal. 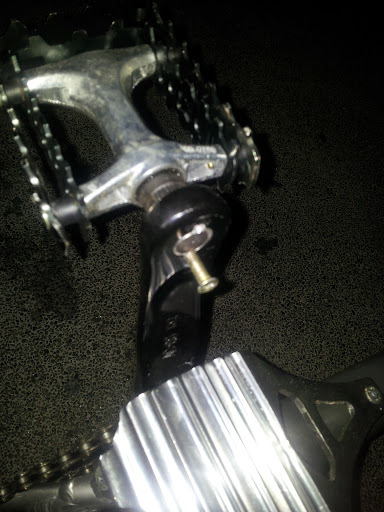 It appeared that the threads in the crank where the pedal was attached was damaged. It was a WTF moment. 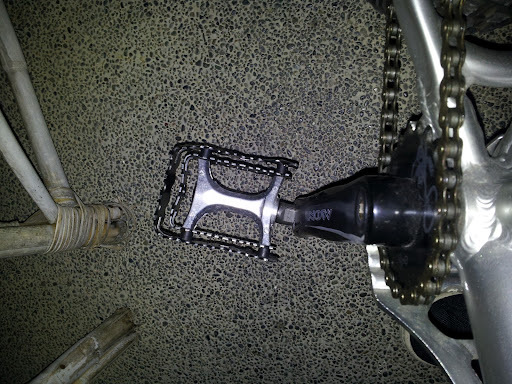 The crank looked brand new and was hardly damaged. To make things worse, I could not find any replacement from the local bike shops. Even from the original Monty bike supplier. I called my friends in Singapore but it looked like they do not have any in stock either. 1. Order the right crank through one of the suppliers. 2. Order though an online shop. 3. Use an alternative non-Monty crank, which means I have to change the pair of them. And that's only if I can find compatible cranks. 4. Or try to fix it. While waiting for my friends in Singapore to reply me, I decided to try option 4, which was to see if I could fix it. 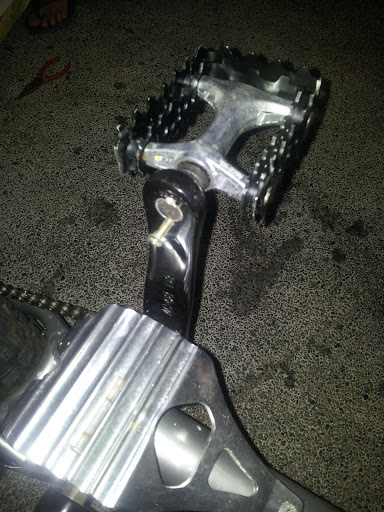 My plan was to drill two holes in the crank and then insert a bolt each to lock the pedal from moving. Then cut of the excesses and weld the bolt down to prevent it from coming loose. That is the plan and it its still a work in progress.